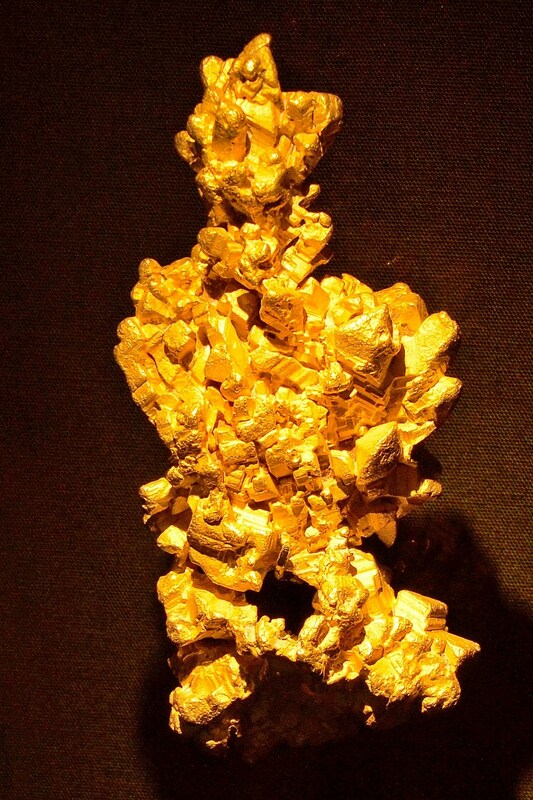 Latrobe Gold Nugget made of rare crystallized gold. 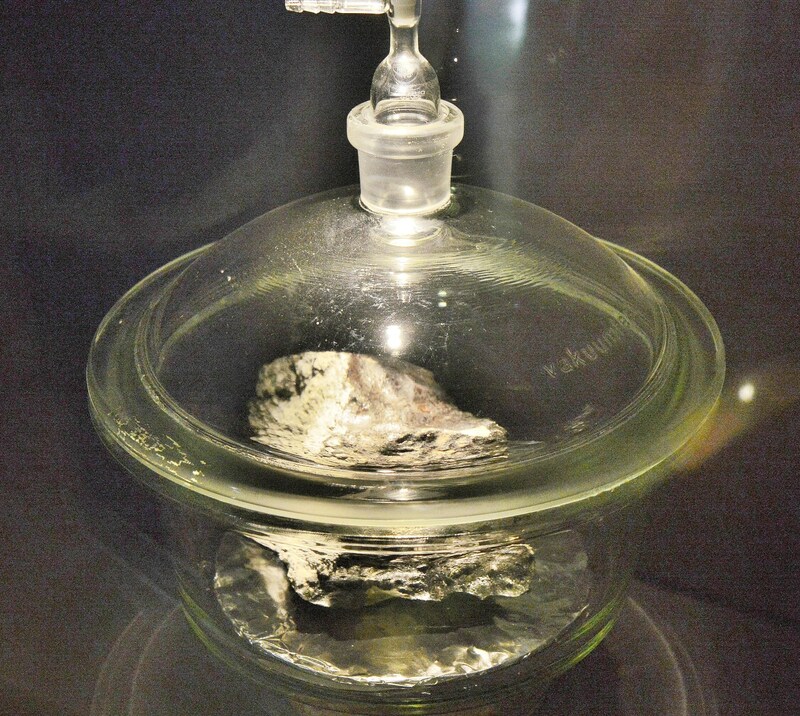 At the end of the Minerals Hall at London’s Natural History Museum is The Vault which contains a number of precious objects including the Latrobe Gold Nugget, the Medusa Emerald, the Cursed Amethyst and a Martian Meteorite. 19 more pics ↓ . And, more at the Earth’s Treasury and Earth’s Treasury 2. These are just a few of the rare items in the vault. 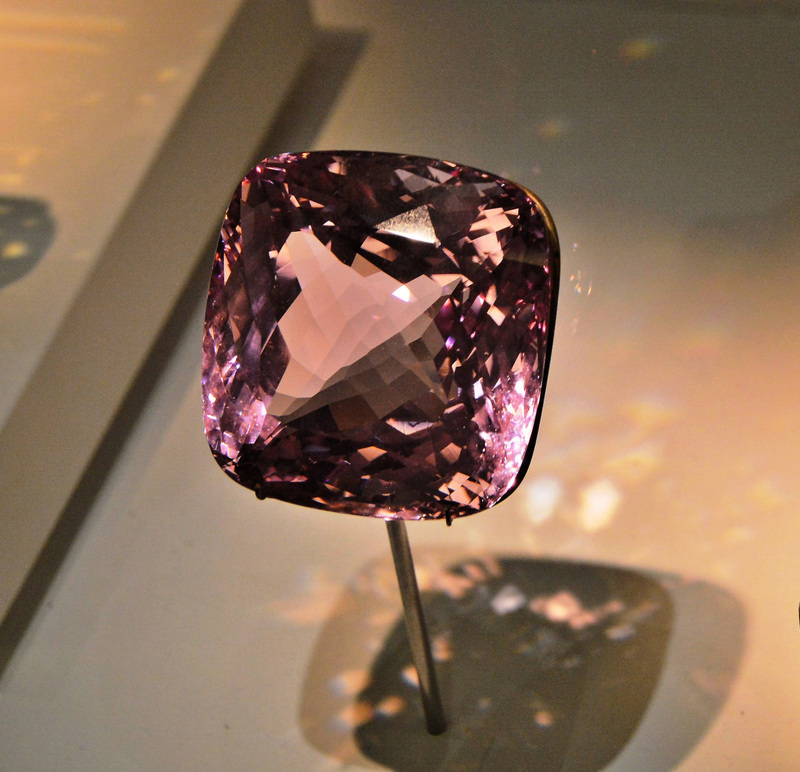 Sapphires come in various colours and, like ruby, are made of corundum. 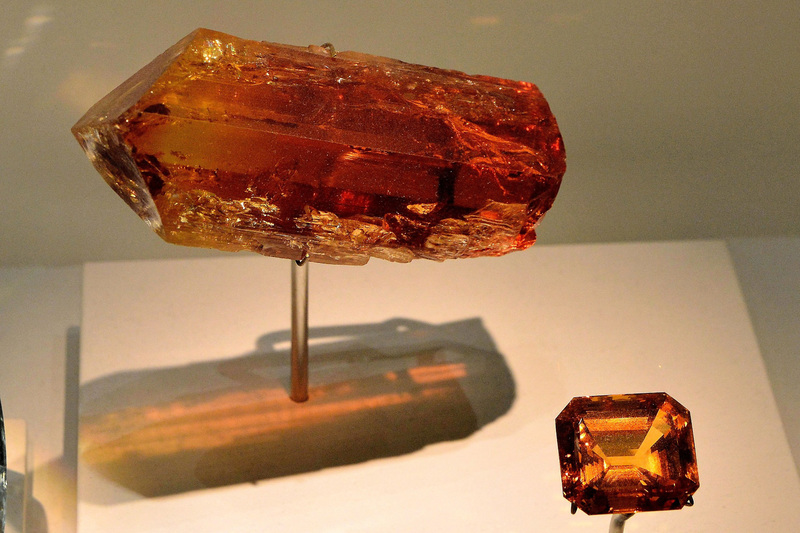 The orange/pink is a rare colouring of sapphire known as padparadscha. 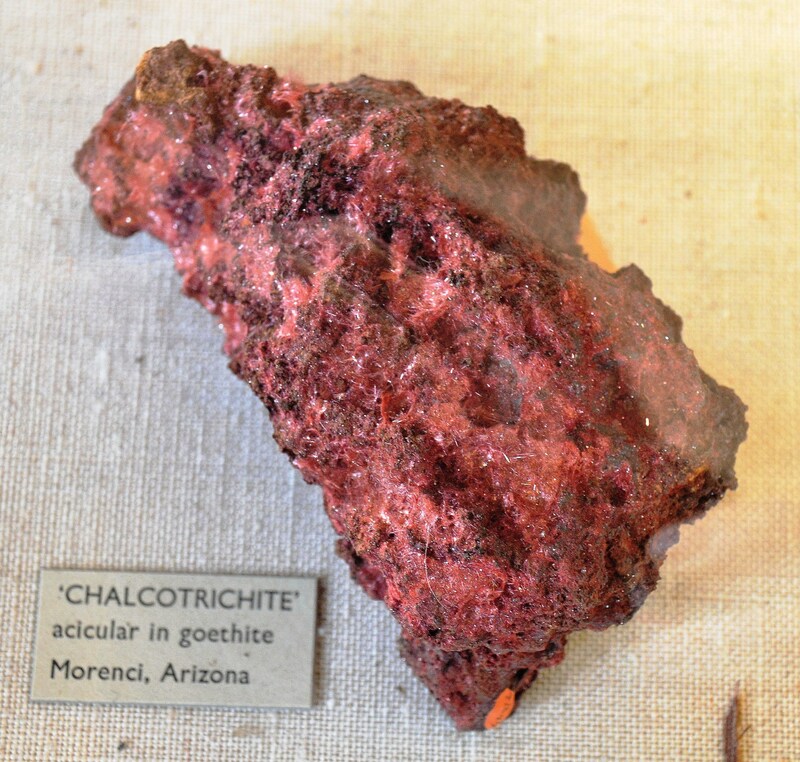 It is a bit of a mystery how it got its name, as it probably came from Brazil. 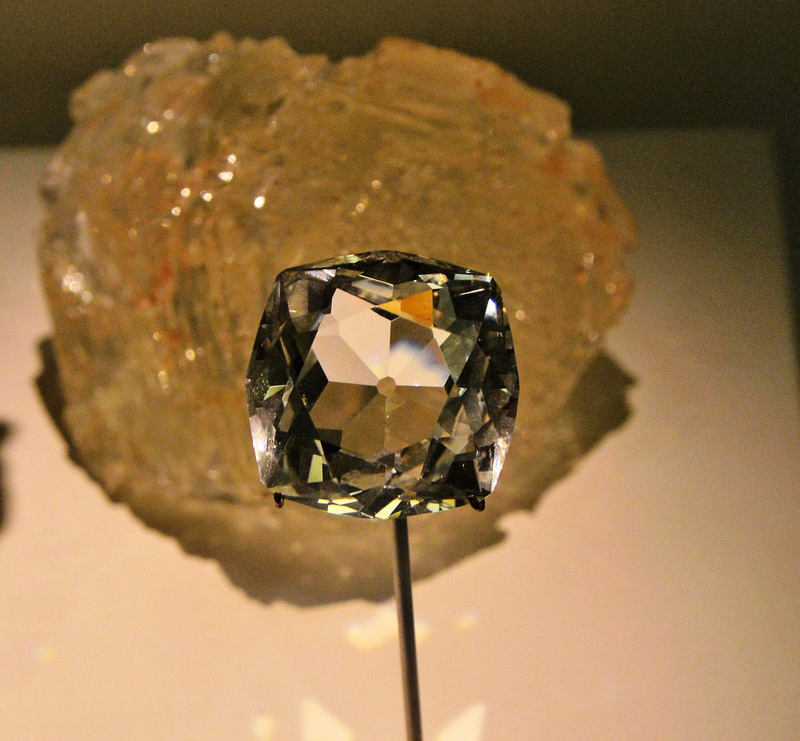 This was once a part of the collection of Henry Philip Hope along with the Hope Diamond. 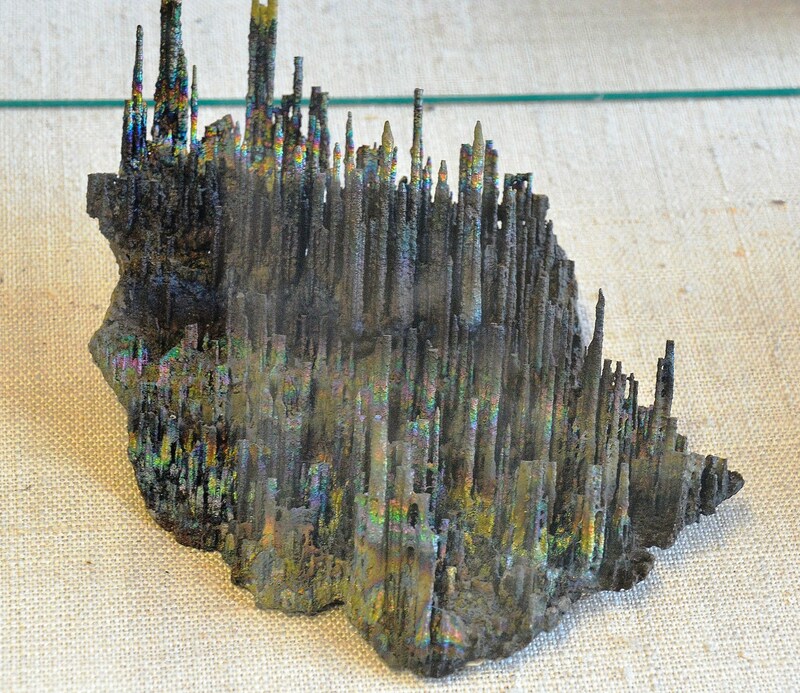 The medusa is regarded as one of the world’s finest mineral specimens. 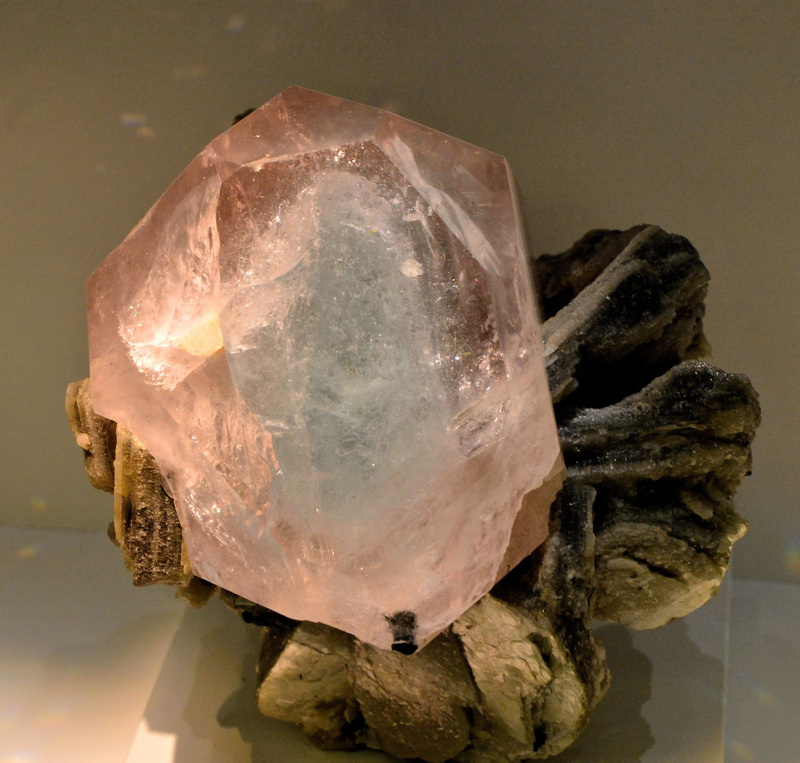 A pink morganite crystal that grew around a blue aquamarine core. 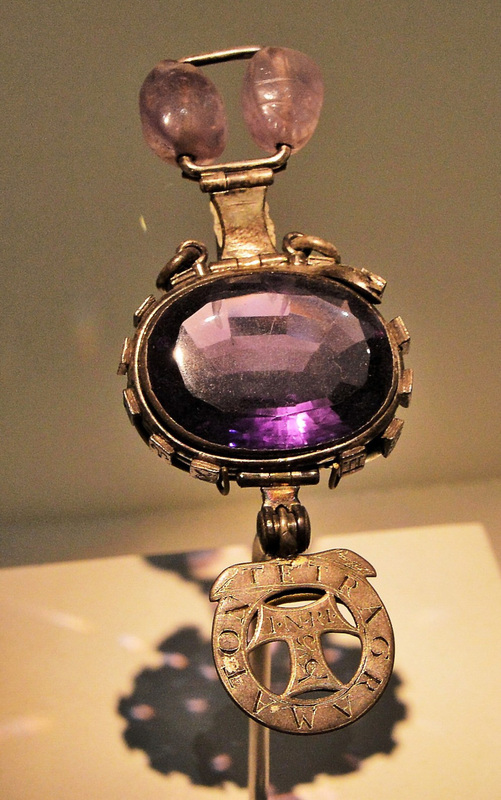 It is reputed that the Cursed Amethyst was stolen from an Indian temple in 1857 and then passed through several unfortunate hands before being owned by Edward Heron-Allen who bequeathed it to the museum. Whilst Heron-Allen owned the gem he had it kept in a bank vault within seven locked boxes. The whole story can be found here. 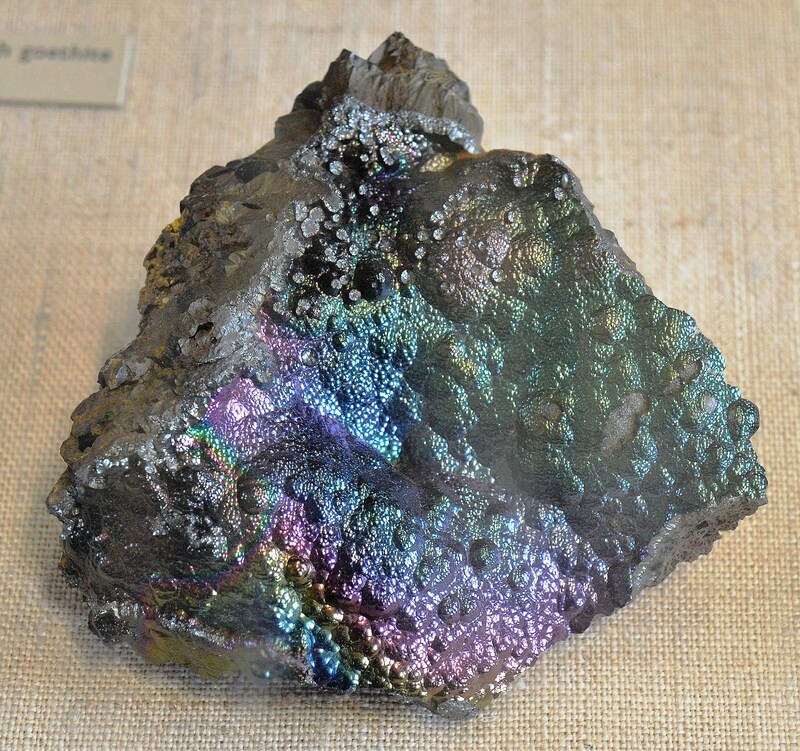 The Tissant Meteorite landed near the village of Tissant in Morocco in 2011, taking 700,000 years to travel from Mars having being ejected by that planet. Its particular importance derives from the indications that there was once liquid water on Mars. If there is water, now beneath the surface, then solar-powered electricity can be used to split the H2O into Hydrogen and Oxygen. The second can be used to support life, and both together as rocket fuel. More at the Earth’s Treasury. This entry was posted on February 23, 2016 by Graham in Hats. 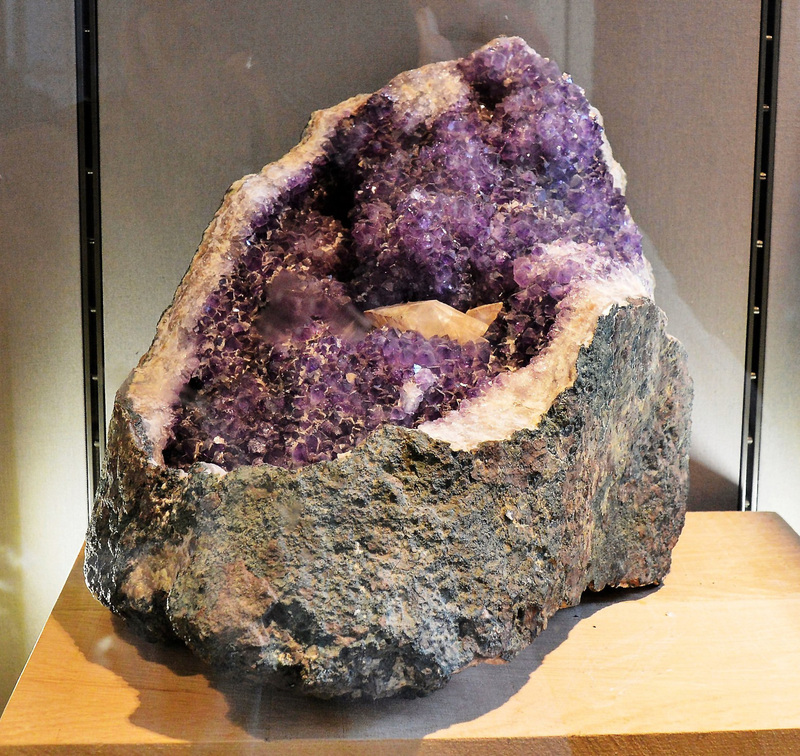 It was filed under Central London, museums, Photography, places to photograph in london, Places to Visit, Science, Travel, uk and was tagged with cursed amethyst, geology, medusa emerald, opals, Padparadscha, saphires, tissint meteorite. Wow! Definitely going here on the next trip. Certainly intriguing although the vault is not very big. “On the other hand, we could take more care of our own planet first.” Yessirree! 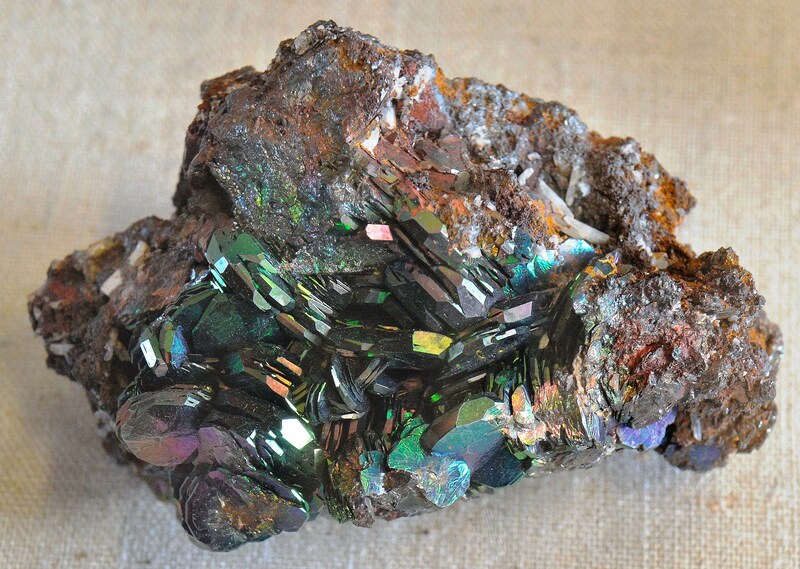 I’ve always been a fan of iridescent minerals. Is the “rain in seawater” a sapphire? Whatever else it is, it’s beautiful. 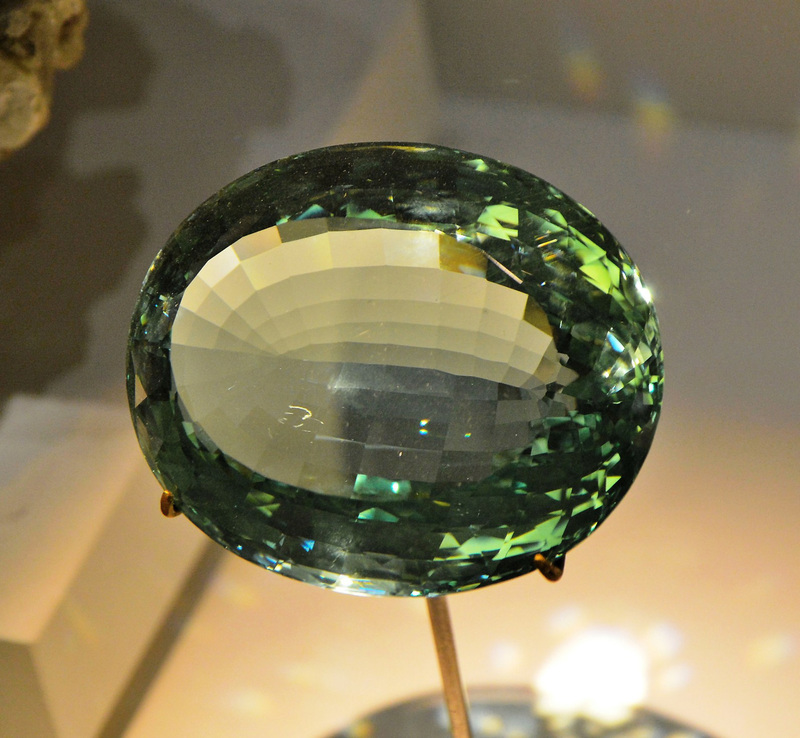 I missed out “An aquamarine variety of beryl”. If you look closely the you can see the rain, as if in the distance, just below center. It’s a strange winter in these parts 😉 We’ve had about average snow, but just downstate they’ve had a non-winter. We are used to about 2 meters a winter. A good bit of it melted, but we’re expecting a snow storm tonight. I’ll spruce the place up. And hide any aquamarines that were lurking just near the surface of the snowpack. I like bit of spruce about the place. 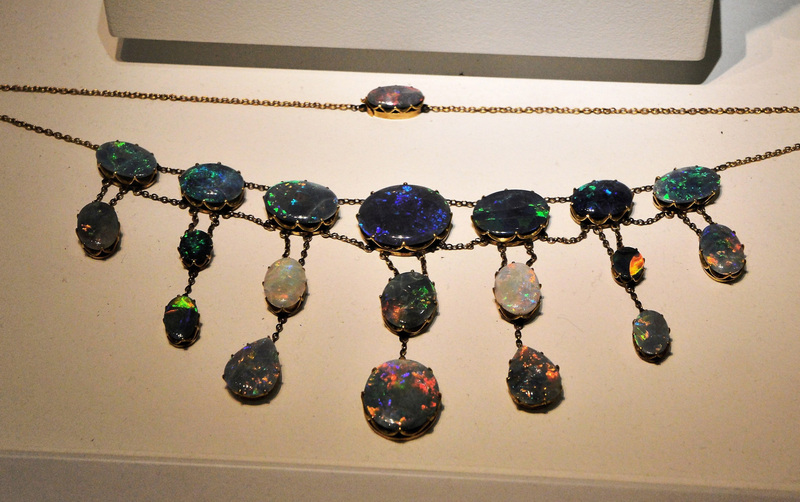 :O That opal necklace needs to be mine! Time to get my thieving kit on again. 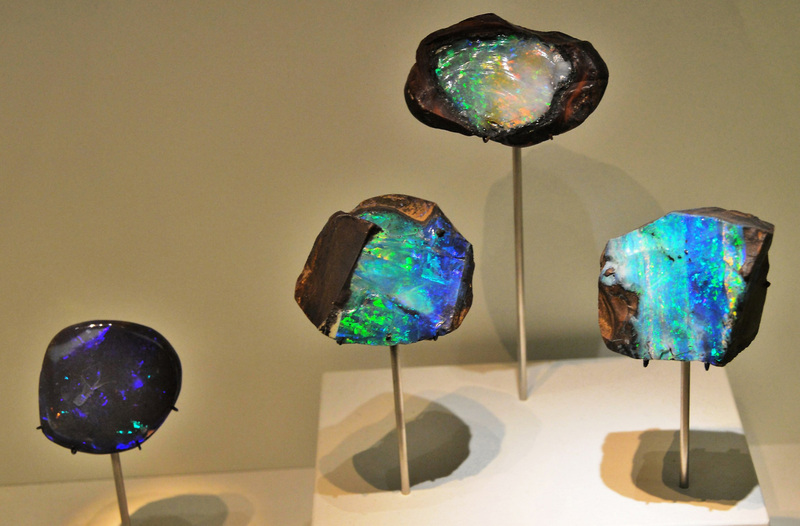 Pretty, pretty rocks. 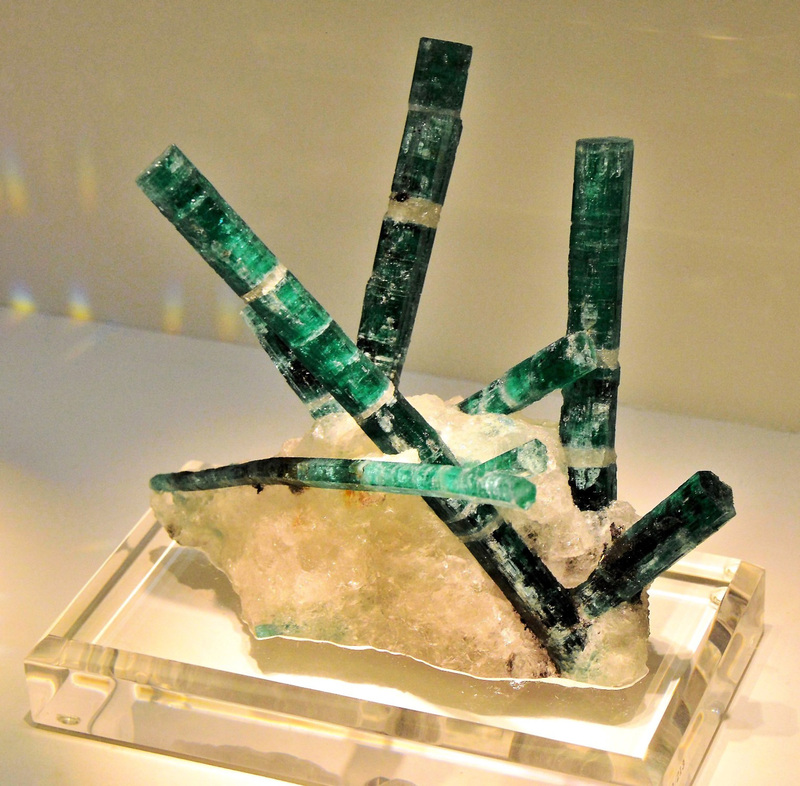 I love crystals, gems…it all!